There are five pricing mistakes you need to avoid when listing your home so that you don’t end up costing yourself a lot of money. 1. Using home price estimate websites—specifically, Zillow. A lot of my clients are aware that Zillow is not completely accurate, but I think it’s more correct to say that it’s not accurate at all. I see homes listed on there that are mispriced by anywhere from 2% to 30%. 2. Pricing your home through rose-colored glasses. In other words, pricing it according to what they think it’s worth because of all the things they love about. 3. Relying on appraisals. 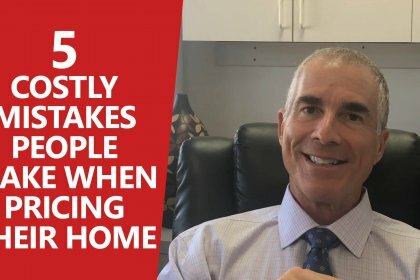 In my experience, about 60% of all appraisals are higher than the home’s true value by 5% or more (sometimes that margin is 10% or 15% higher). The other 20% are higher or lower than the home’s value by 5% or less, and the remaining 20% are lower by 5% or more. 4. Putting too much emphasis on price per square foot. Some agents like to use this metric to sound intelligent. They’ll say something like, “Homes in this neighborhood are selling for $523 per square foot.” If an agent ever tells you something like that: run. That’s an oversimplified and highly inaccurate way to price a home. Price per square foot only takes into account the home’s square footage. It doesn’t factor in the home’s location, condition, amenities, etc. 5. Relying on an agent who’s just trying to get you to sign with them. 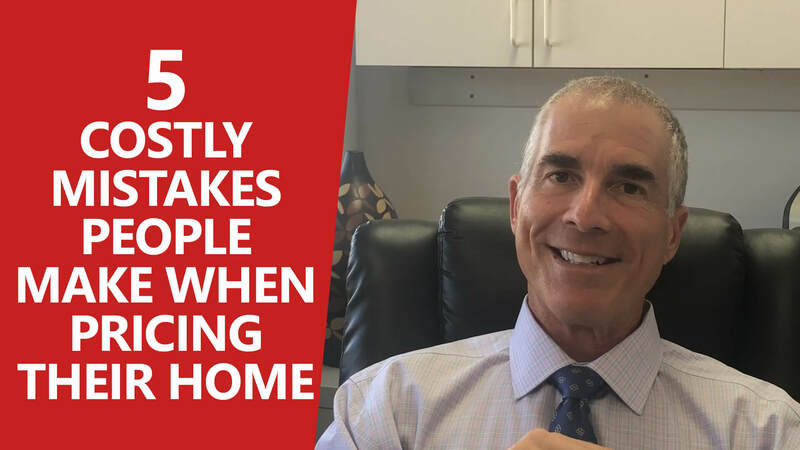 If an agent knows a seller is interviewing other agents for the right to sell their home, it’s not uncommon for them to purposely inflate the value of their home and overpromise what they can sell it for just so that seller will pick them. If you’re thinking of selling your home and you’d like to know what it’s worth, give me a call. I can give you an accurate valuation so you can avoid falling for any of these pricing pitfalls. 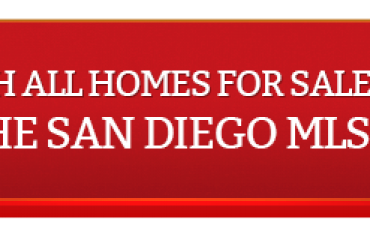 As always, if you have any other real estate needs or you’re curious about what’s going on in our San Diego market, feel free to reach out to me as well. I’d love to help you.